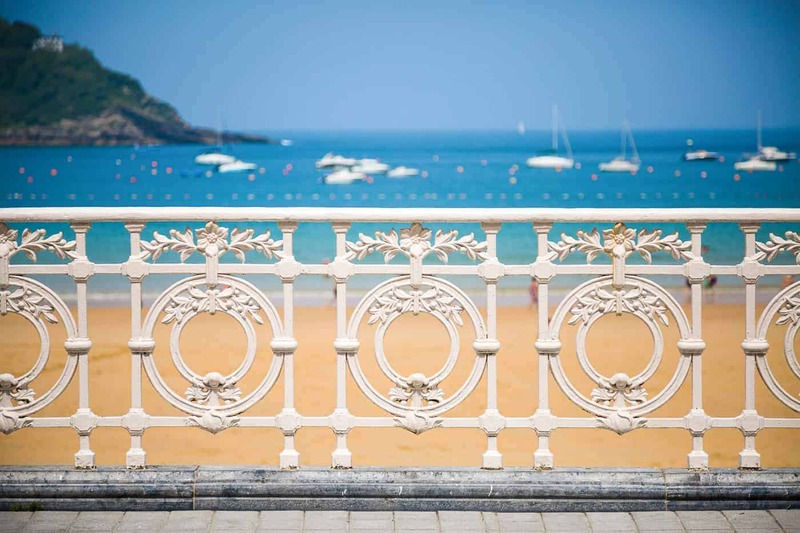 Looking for the perfect San Sebastian itinerary for your upcoming trip to Spain? 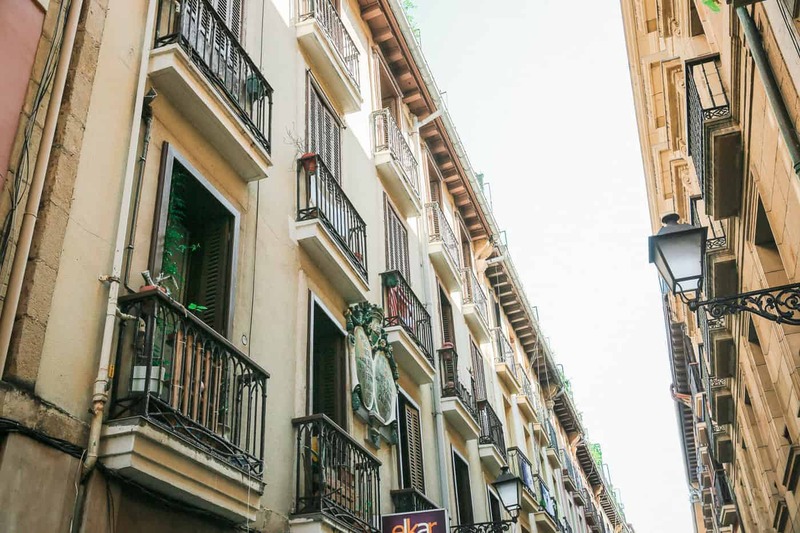 There are so many things to do in San Sebastian, that it can be overwhelming to decide how to spend your time in the city, especially if it’s your first visit. Make sure to pack one of these! You’re going to need it for all of your essentials during your trip. For more packing essentials, check out all of these must-have items for Europe. If you’re looking for a place to stay in San Sebastian, I highly recommend the Hotel de Londres y Inglaterra. The hotel is perfectly located within the city, and is walking distance to everything you will want to see and do during your visit. I absolutely loved my stay there. Even if you don’t end up staying at the Hotel de Londres, pop in to the lobby bar of a glass of txakoli to enjoy the view of La Concha beach. The views here are hard to beat! Another luxurious option for hotels in San Sebastian in the Hotel Maria Cristina. If you adore old school glamour and luxury, you can’t go wrong here. Book early during the summer months, and also during the San Sebastian film festival where hotel rooms sell out extremely early. Finally, I’d be remiss in my San Sebastian hotel recommendations if I didn’t mention Akelarre. OH MAN. This place is chic, modern and hands-down the most incredible place to stay in San Sebastian. Perched up above the city, Akelarre is a cliffside sanctuary that is fit for royalty. It comes with a price tag to match, but even if Akelarre isn’t in your budget, stop by for a visit and to have a drink at the bar. The views are unforgettable. How much time should you spend in San Sebastian? Two full days is the perfect amount of time to stay in San Sebastian. You’ll have enough time to explore the city at a relaxed pace, without feeling like you’re missing out on the highlights, and you’ll have enough time to see other parts of Spain. If it’s your first time visiting Spain, don’t miss my best tips for first time travelers to Spain. On your first day in San Sebastian, you’ll get the lay of the land, as well as a taste of the city’s highlights (literally). Plan to do a bit of walking today, so make sure you have some comfortable walking shoes with you. Grab a coffee and a pastry to go, and kick off your San Sebastian itinerary with a bird’s eye view of the city. Hike up Monte Urgull, the eastern anchor of La Concha beach. 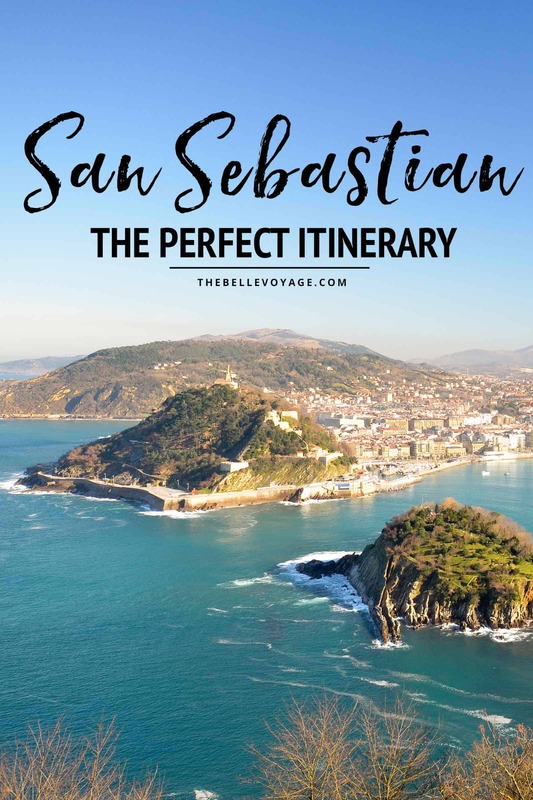 It’s roughly a 20 minute walk up to the top, where you’ll be rewarded with amazing panoramic views of San Sebastian’s red roofs, and the beach below. Monte Urgull was a military fortress in the 12th century, and you can still see the walls of the Castilla de la Mota fortress, which played a key role in defending the city from siege. There’s a small museum dedicated to the city’s history which you can stroll through during your visit. Take your time wandering atop Monte Urgull, where there are plenty of places to stop and take in the views of the entire city. If you haven’t finished that pastry yet, camp out here to do just that. 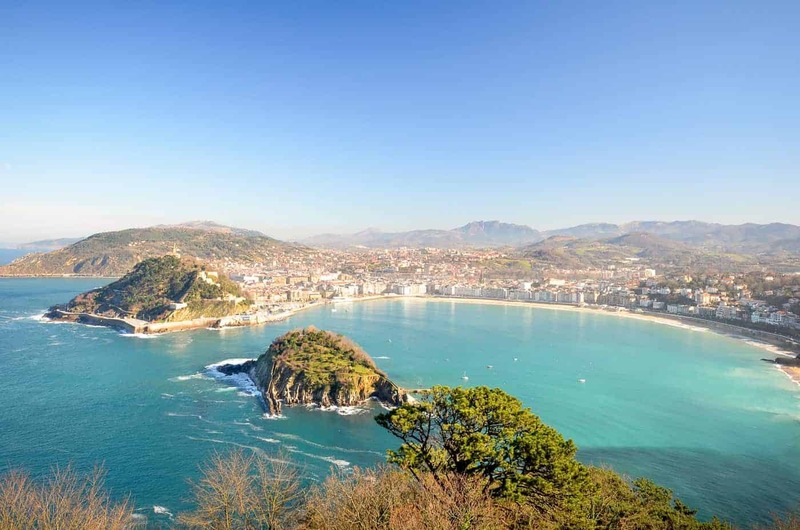 Next up on your San Sebastian itinerary? Hike back down Monte Urgull to the nearby San Telmo Museum. The culture and history of Spain’s Basque Country is truly fascinating, and the San Telmo Museum is one of the best places in this part of Spain to get a glimpse into the fabric of this society. Collections here change frequently and it’s important to know that the signs are in Spanish and Basque only. If you decide to visit, pick up an audio guide. The guides are available in additional languages, including English. By this point in the day, you’ve probably worked up an appetite, so stop in for lunch at local favorite La Fabrica. A late lunch around 2pm is the largest meal of the day for the Spanish, so a 3-course meal is not unusual this time of day. You won’t be disappointed at La Fabrica, where the daily set menu is consistently delicious and also includes a half bottle of wine per person – so enjoy! It’s generally a good idea to have reservations for lunch in Spain, especially if you’re visiting during the busy summer months, and the same is the case with Fabrica. Call ahead to book a table. After lunch, take a few hours to wander through the narrow streets of Parte Vieja. The best way to enjoy this part of the city is to get lost and simply soak it all in. 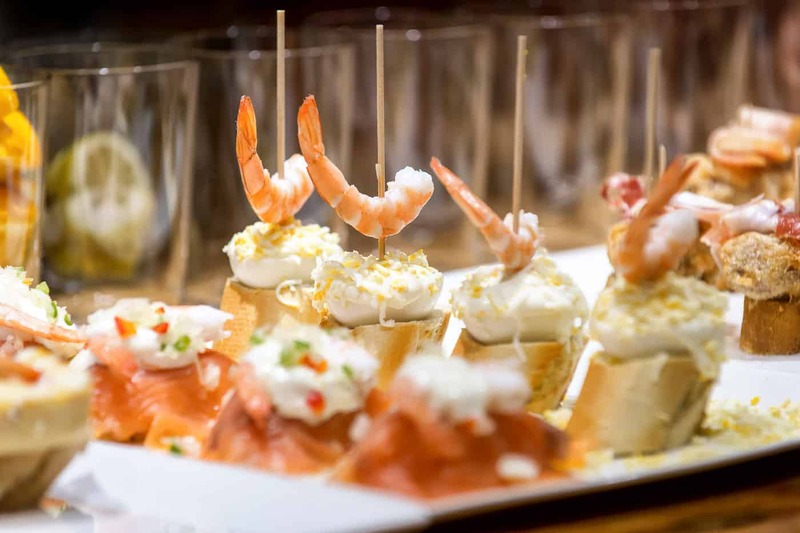 No trip to San Sebastian would be complete without a pintxo bar crawl for an evening meal, so plan on doing just that for your first evening in San Sebastian. A pintxo crawl throughout San Sebastian’s Parte Vieja will undoubtedly be one of the highlights of your trip. Each pintxo bar in San Sebastian has a particular dish that it’s known for. I’m planning a future post with all of the must-eats and I’ll link to that here once it’s complete. In the meantime, wander the Parte Vieja to your heart’s content, sampling any pintxos along the way that look delicious, and washing them all down with a glass of Rioja wine. 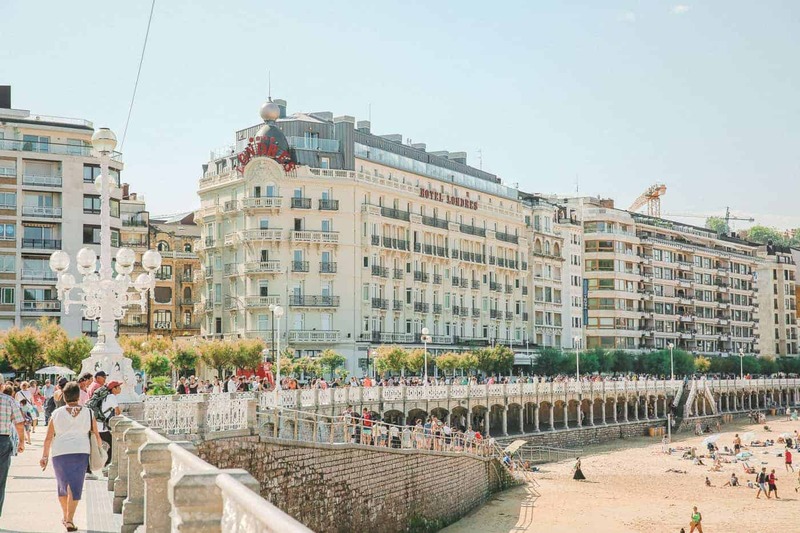 For day two of this San Sebastian itinerary, you’ll explore the western side of La Concha beach, visit the surfer neighborhood of Gros, and dine at one of the world’s finest restaurants. Start off the second day of your San Sebastian itinerary with another morning walk. Starting on the east end of La Concha beach, head west towards Monte Igueldo. The first stop along the way is Miramar Palace. The palace was built to be the summer home for the royal family during their visits. The palace isn’t always open to the public so it is best admired from outside where you can appreciate the cottage-style architecture that dates back to the 19th Century. On the far end of the beachside walkway, you’ll end up right next to the lower end of a funicular that can take you the rest of the way up to the top of Monte Igueldo. Buy a ticket and hop aboard the short ride to the top where you’ll be charmed by a vintage amusement park. If rides aren’t your cup of tea (or if the weather isn’t great), stop in to the Mercure Hotel which sits atop the mountain for a drink in the lobby bar. The views are phenomenal. After Monte Igueldo, take a cab over to the other side of San Sebastian to visit the hip and trendy neighborhood of Gros, located near Zurriola beach. Stroll along the Playa Gros where you can watch local surfers catch waves. Further inland, stroll through the streets of this young neighborhood and enjoy the trendy boutiques and leafy squares. Dinner tonight is at one of the best restaurants in the world, so as you decide where to eat in Gros, you may want to go lighter on lunch today. But in a city like San Sebastian where every bite is more delicious than the next, that can be hard to do. As you wander back to your hotel from Gros, stop at Bretxa Public Market on your way, where the region’s finest produce, meats and fish are on display. This basement market is the pulse of this city centered around the joy of eating. If the weather is warm, another alternative is to spend the remaining afternoon hours relaxing on La Concha beach and dipping your toes in the azure sea. Foodie capital San Sebastian is home to more Michelin-starred restaurants than any other city in the world. For that reason, experiencing fine dining here is a key part of any San Sebastian itinerary. Arzak is known among foodies as one of the best restaurants in the world. And it’s with good reason! If your budget allows, visiting Arzak as part of your San Sebastian itinerary is a must. Make sure to book well in advance – and by that I mean months and months. A meal at Arzak doesn’t come cheap, but the experience is worth every penny. 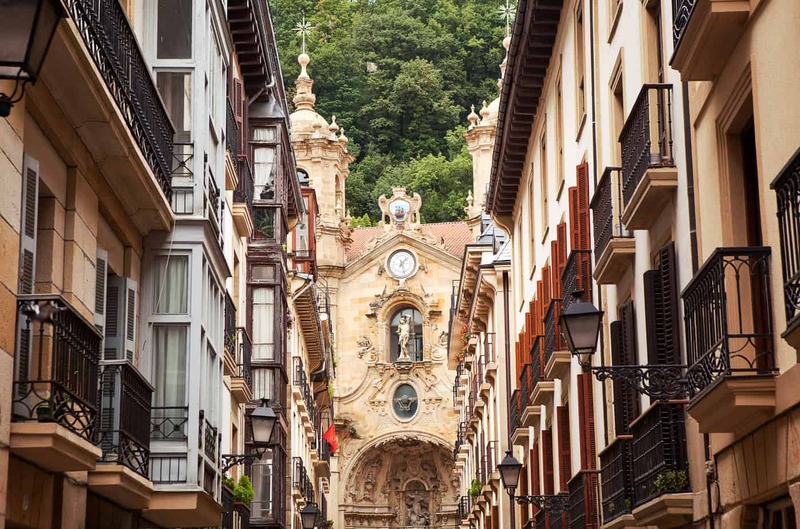 There you have it – the perfect San Sebastian itinerary for first time visitors to the city! Have time for a day trip from San Sebastian? If so, I highly recommend visiting San Juan de Gaztelugatxe. If you’re spending more time in Spain, check out the perfect Barcelona itinerary that I’ve put together.